There are no rules of membership other than an appreciation of doors! Simple as that! Want to join? Just leave a reply below with a link to your blog. Please visit us on Facebook and “like” our page. Mention the Legion on your own blogs to help spread the word. The membership / contributor list is now located on the right hand side of the main blog. Nice job here Adrian, posting all those beautiful doors and finding new members. Onward LDW! Great – the more the merrier! I attempted to create a new post for this blog, but for some reason it would not allow me to add pictures. I ended up posting it on my blog and planned to reblog it here, but it would not allow me to do it either. Shannon, sorry you have had problems. I have changed your rights on the site and hopefully you can now add content successfully. Please let me know if it doesn’t work. Is this the sort of thing you’re after? I’m going to put a post on my blog about this blog. It might interest a few people. Thanks, it certainly fits the bill, I will re-blog later. Thank you for publicising the blog, much appreciated. Thanks ekhaugll I have sent you an invitation to contribute directly. I love this blog. I’ve loads of pictures of doors that I have no idea why I took the time to photograph, but looking at your pictures will make me look again. Great site. Thanks. Thanks Milton – all contributions gratefully received if you want to submit any of yours. I will definitely add when I get home. I have sent you an invite so that you can contribute directly. Look forward to seeing your pictures. Lynne, have now sent you a contributor invite to LDW. John apologies for the delay in replying. I will send you a contributor link. :)..Hi Adrian, I did not realize this was your site…Good luck with it, it’s great. I just added a link to this site on my list of Blogs and Friends, hope thats ok with you guys? Fine by me – the more publicity the better, and thanks for all your recent posts. I’ve got another door for you. How do I get it on here? I will send you an invitation to become a contributor so you can post direct to the blog. What an awesome idea! I love doors! My boyfriend and I are traveling currently and I’m *always* photographing doors – of course he makes fun of me for it but I just can’t stop! I wonder what it is about doors….? sign me up please, i have a large archive of cracking doors to share. Russ, will send you a link to become a contributor. Looking forward to seeing some of your cracking doors! We posted a gorgeous door in Guatemala taken by the talented thirdeyemom. You should check it out (and her)! We are a collective too, of photographers living with, or affected by, mental illness, but we would be happy to send over any door posts we get. Thanks for the link and as you will see I have reblogged it. Please let me know of any others you get submitted. I follow your blog and have been thinking of submitting some of my own photos. Since my blog name translates to “the ajar door” in English (nope, it doesn’t sound any better in Spanish haha) and I’m a big fan of doors (and windows! ), I thought it might be fun to take part in your initiative. My blog is in Spanish so not suitable for reblogging but I can always share my doors with you and write something in English if interested? Please, let me know. I’ve always wanted to be a door whore (well, not really, but that’s not relevant). love that there are others like me out there! I have sent you an invitation to join the LDW as a contributor. Welcome. Thanks Adrian, glad to be a part! Let me check it out and get back to you. Hi Poppy – have just sent you an invitation to contribute directly to the LDW. Thanks for reblogging my Solstice Door! I, too, am a lover of all things Door and want to join the Legion! Is there a simple solution to sizing my pix when I reblog? They’re sized correctly on my site but when they get here they revert to original size and hog way too much real estate on this site. Thanks! Wabi, you could post them directly rather than re-blogging. That might give you control over the size of the image. first of all thanks for re-blogging my photo here and please find link to my blog below for membership.. Thanks Ugur, I have sent you an invitation to contribute directly. Helen, I have no idea, as I’m not a contributor to any blogs myself. However I guess that you will have a link to the legion under your name, top right of the screen. If not let me know and I’ll ask one of the other legionnaires. Hi Adrian – this got posted back to my site, for whatever reason. Perhaps you could respond to Jane. Thanks Lynne, I got the same message and will action it. Hi Lynne– sorry! Not sure how that happened… thanks. There is an invitation on its way to you by email Allan. Hi Adrian, I’d also like to join. Just curious to know how I get a badge to post on my site. Just sent you an invite by email. Want to become a Legionnaire. Lots of doors, door knockers, and other door details. I’m up for this too! Contributor invitation sent to your email address. Thanks – I just got it, and responded. Confession: I have a door fetish. Have only posted them on instagram where the unususal is well received. Glad I found your site! Hi Margaret, thanks for stopping by and leaving a comment. Would love to see some of your instagram door shots on the LDW. If you would like to join the community and submit your images let me know. I’d love to be a member! I sometimes post photos of doors in Venice, Italy. Just sent you an invitation to,contribute directly. Hi, I would like to contribute to this blog from time to time should doors pop up in my world. Tried to send you an invite email to contribute directly ut your blog is blocking invite emails! Now I am out of my technical depth. I just went through all the menus but see no reason for it. Can you email directly to ehpemm (_at_) gmail.com? Note the second ‘m’ from what I normally use. If not, maybe someone out there can tell me where to find the right switch to throw. Thanks! Hi Adrian, could you try again for me as well please? Thanks. Same as last time, you need to check your wp settings to allow invite emails. Thanks Adrian. Sorry to be such a pain. I have looked through all my wp settings and don’t see where that switch is located. Can you point me to it? Thanks again. Hi Adrian–it’s julie form cookiecrumbstoliveby.wordpress.com You previously reblogged one of my door shots– of which I was greatly honored—I have a myriad images of doors from all over–mostly Europe—I even had a posting following a trip back in the fall to Austria, Prague and Berlin…”What’s in a door? Utilitarian necessity or art? I say both” …I would love to share some of the other doors with you—that is if you’d like them…..
Just wanted to express my deep gratitude for reblogging one of my posts. Great idea you have here, lots of great contributions from bloggers the world over. Best Mark. Beatriz, I have just sent you an invitation to contribute directly to the Legion. Hi Adrian, great blog, and on a subject close to my heart. Think I’d better join the club 🙂 You say to leave a link to our own blogs so here is my current home page, with the most recent post on maps and games in literature. However, as door enthusiasts, I think fellow members may enjoy this post below even more. Yes, you guessed, direct from Dublin, it’s a little quiz on Dublin doors! I hope you like the opening quotation too. Best regards and respects on the great blog- Arran. Just sent you an invitation to contribute to the Legion. Hi, what a great idea for a blog! I’d love to contribute – I have soooo many door pictures! Here’s the link to my blog: http://www.anenchantedeye.com and you can see a couple of relevant pictures here. I will like you on facebook and give you a plug when I next post a door picture. I sense one coming up soon…. Thanks Eleanor. I will sort out an invite as soon as I get a moment. Hello! I have a few recent shots from Pittsburgh, PA that show some of the architecture and older buildings in the area. This is a great site! Thanks Michael. If you would like I can send you an invitation to contribute directly to the LDW. Let me know. Hello! Yes please do. I took a few more shots today. Adrian, I love your blog and would also love to be a contributor. Adrian, would you be horribly offended if I asked you to remove me from the list …? I find it very confusing on my dashboard … and also, and more importantly, I’m completely unlikely to be able to post anything more. I’ve done me dash, mate. Margaret, have removed you as a user as requested, no offence taken. Thanks very much. Am having trouble with my 70-y-o brain, coupled with medication that’s worrying me a bit. Martha, I have sent you an invitation to contribute directly to the Legion. I love doors, have posted a few and have more…I’d love to join please. 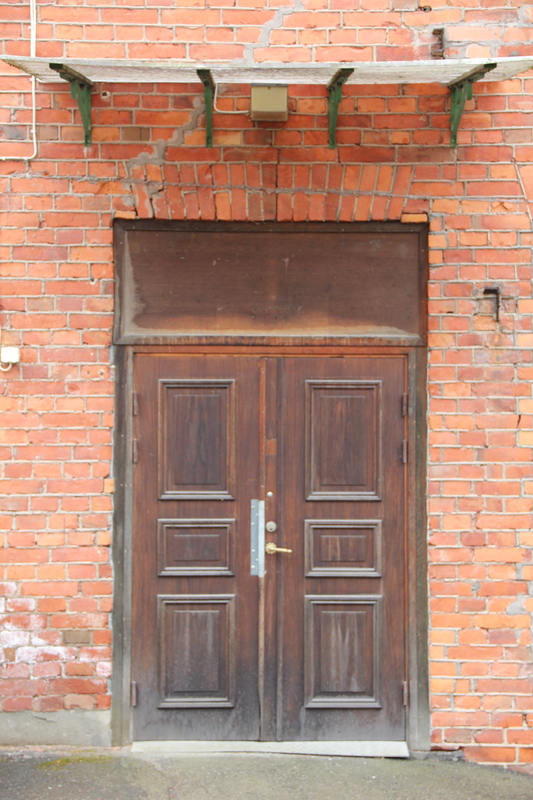 Thanks for a great blog for all of us who have door infatuation…. Adrian, I want to be a member – but I am not on Facebook – is that a problem? “Long time listener, first time caller” Thinking I need to join this extraordinary Legion… should have requested this a long while ago! Formal invite just emailed to you. I used to have a fences project during last year (I closed that blog). With one Russian bank we even printed “Fences Caledar 2014” (12 months = 12 images) – all the calendars were distributed as gifts among business people of Belgorod, Russia. I would like to participate in your project. Which doors are accepted? The ones you find in the street or in the house (room, kitchen)? I have just sent you an invitation to contribute directly to the LDW. The only rule is that the image posted must have a door as it’s dominant focus, so any sort of door is acceptable. Congratulations on getting your fences images published, a great accomplishment. I look forward to seeing some of your door images. Will be posting some door photo’s over the next few days. I would like to give this a try. What a fantastic idea! Thanks and welcome, I have sent you an invitation to contribute. Hi I love doors – have some pics on my computer which I would like to share from the UK. That’s great Norm. If you want to contribute let me know, our door is always open to me members. Hi Lars. I have sent you an invitation to contribute your images directly to the blog. So many doors! I just have to join in 🙂 Please find a link to my blog (and a post about doors) . Thanks for dropping by. I will sort out membership later, and check out your door post.